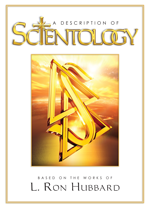 Founded by L. Ron Hubbard in the early 1970s, the Volunteer Minister program was designed to provide practical Scientology tools and indiscriminate help in an often cynical and cruel world. Through the ensuing decades, Scientology Volunteer Ministers (VMs) have provided emergency relief at more than a hundred worst-case scenarios. This includes a corps hundreds strong at Ground Zero within hours of the 9/11 tragedy, more than 500 volunteers from 11 nations in Southeast Asia in the wake of the tsunami, and over 900 Volunteer Ministers attending to victims in Louisiana and Mississippi in the aftermath of Hurricane Katrina and Rita. In the Haiti earthquake disaster, the Church of Scientology and its parishioners delivered planeloads of much-needed medical and food supplies. In addition they brought hundreds of medical professionals and Volunteer Ministers to help Haitians cope with their losses and rebuild their lives. In consequence of these and a multitude of other disaster relief efforts, Volunteer Ministers have partnered with more than 500 national and international emergency rescue organizations, including the United States Federal Emergency Management Administration and various branches of the United Stated armed forces. Today there are over 200,000 Scientology Volunteer Ministers, making it one of the largest independent relief organizations in the world. And in the last ten years alone they have helped some 10 million people. Volunteer Ministers are further equipped to respond in time of personal disaster, providing assistance to repair broken marriages, recover failing students, comfort the bereaved and much, much more. Accordingly, Volunteer Minister Goodwill Tours are now welcomed across 150,000 miles between Africa, Asia, South America and the South Pacific Islands. Volunteer Ministers additionally succor those in need wherever Churches of Scientology stand. Volunteer Minister assistance is further available through the Volunteer Ministers online. Here one can link to a Volunteer Minister for one-on-one help. 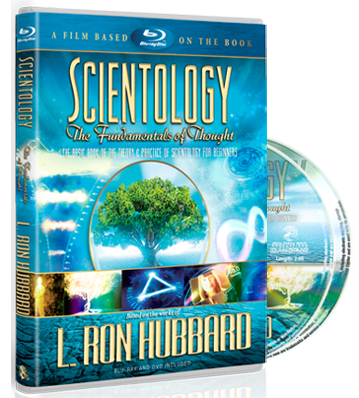 One can also enroll in any of nineteen free online courses covering a range of subjects: from Scientology basics, to communication and tools for the workplace. Anyone with a desire to help others, no matter their faith, can train to become a Volunteer Minister at a Church of Scientology. As L. Ron Hubbard wrote, “A Volunteer Minister is a person who helps his fellow man on a volunteer basis by restoring purpose, truth and spiritual values to the lives of others.